Hoboken Terminal’s four main tracks lead into two train yards and ten platforms serving 18 tracks for passenger service. There are also connections to the Hoboken PATH and Hudson-Bergen Light Rail (HBLR) stations, which are served by independent tracks. Adjacent to the platforms sits the Hoboken Terminal main waiting room, a Beaux-Arts landmark completed in 1908. To extend four tracks from Hoboken Terminal to New York City, some of the tracks, platforms, and surrounding buildings would have to be razed. However, the arrangement of Hoboken Terminal and its buildings would allow construction to proceed all while maintaining existing rail operations. Whereas most passenger trains and the Hoboken Terminal main waiting room reside on the north side, from Tracks 1 to 14, tunneling and construction of new platforms would occur on the south side of the terminal. Tracks 15 to 18, and their surrounding structures, will be razed and new platforms, tracks, and tunnels will be constructed in their place. 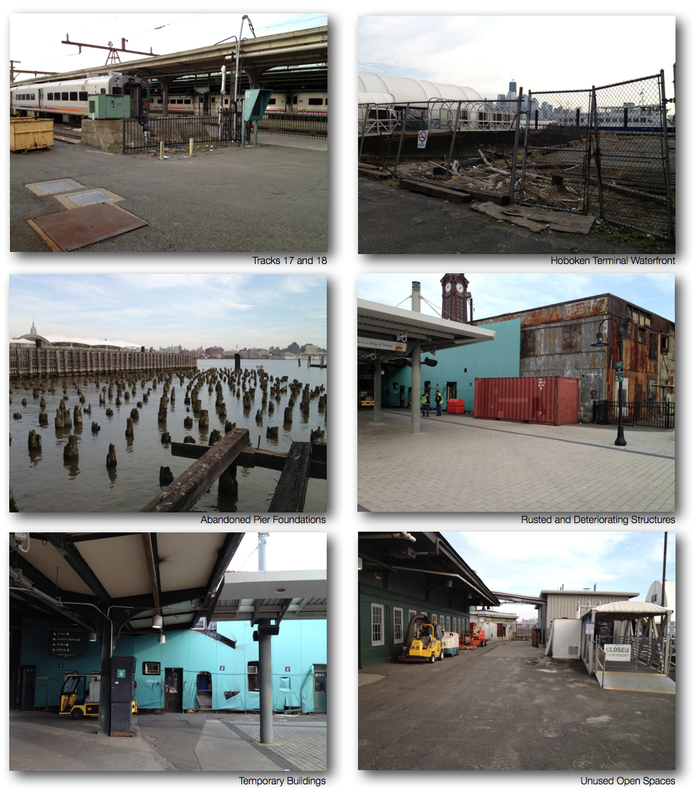 With the exception of the Hoboken HBLR station, located several hundred feet from Hoboken Terminal’s main waiting room, most of the south side of Hoboken Terminal is unused or occupied by deteriorating structures and abandoned piers. The PATH Station, HBLR Station, Hoboken Ferry Terminal, and 14 of 18 existing tracks will remain open for passenger service during the construction of new tracks, tunnels, and platforms. Extending the four main tracks to New York City would transform Hoboken Terminal into Hoboken Station. Existing platforms and tracks will become the new Hoboken Rail Yard for storing NJ Transit trains. From Bergen Tunnel, four inbound tracks will arrive at two high-level, island platforms. 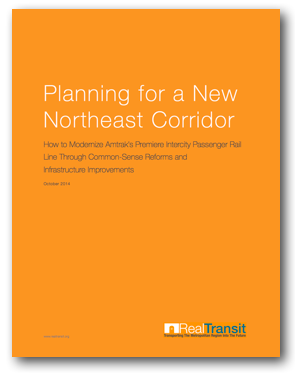 Two exterior tracks will accommodate local NJ Transit service, while the two interior tracks will accommodate express NJ Transit service and Amtrak. The inner two tracks will also connect to a future high-speed rail line that would utilize both Hoboken Station and Hoboken Tunnel. Provisions will be made for a dedicated tunnel on the western end of the station to provide connectivity to a new right-of-way for Amtrak’s high-speed rail network. 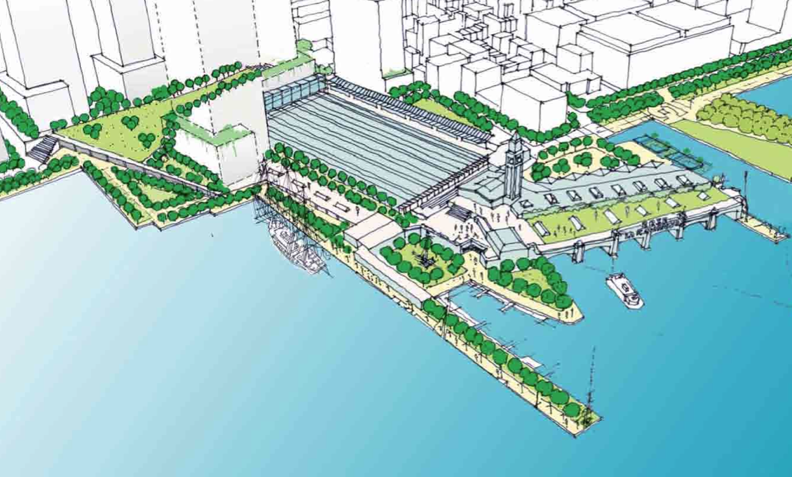 In addition to commuter rail, the Hoboken Station Redevelopment will also include the reconstruction of the Hoboken HBLR Station with a connection to Hoboken Tunnel. This new HBLR connection will provide residents of Bayonne and Weehawken a one-seat ride into New York City and will supply residents of Hoboken and Jersey City yet another route into Manhattan. As trains depart Hoboken Station en route to Manhattan, tracks will gradually submerge beneath a unified platform before arriving at the entrance to Hoboken Tunnel. This will ensure that trains sustain minimum grade decreases while simultaneously providing unified access between the two new platforms, the new Hoboken HBLR Station, Hoboken ferry service, and the existing Hoboken Station structures. In addition to construction of new platforms and demolition of existing structures, Hoboken Station will also include the construction of a new Western Overpass to allow additional pedestrian accessibility to the City of Hoboken, NJ Transit Bus, and the Hoboken PATH Station. The estimated cost of the Hoboken Station improvements is $450 million. 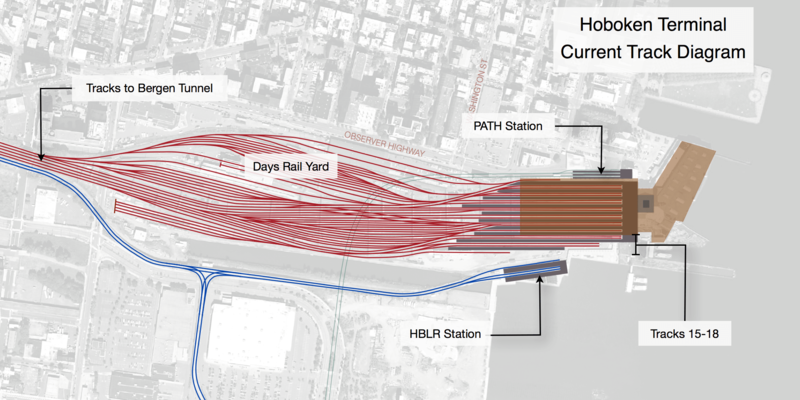 In addition to the improvement and redevelopment of the rail station, the construction of new tracks and tunnels will coincide with the long-delayed Hoboken Redevelopment Plan. 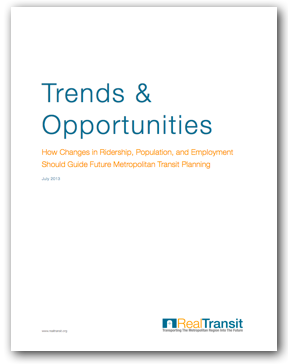 The most recent iteration of this plan seeks to preserve and enhance the quality of life in Hoboken through smart growth and transit-oriented development. 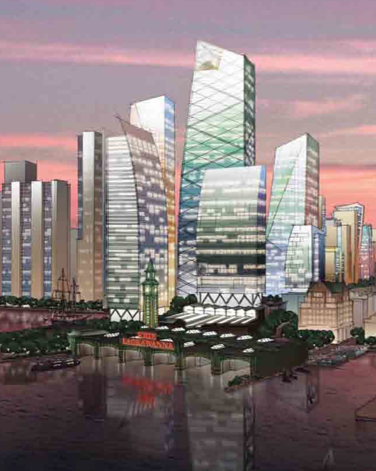 The plan also calls for the intense development and rezoning of the areas in the immediate vicinity of Hoboken Station as well as the transformation of Observer Highway into a mixed-use boulevard. New office zoning in close proximity to the station will allow for the establishment of a modern commercial district in downtown Hoboken, while residential zoning along Observer Highway will support the influx of workers and commuters into the surrounding areas. 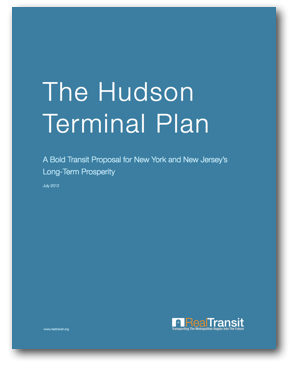 The Hoboken Redevelopment Plan complements the transformation of Hoboken Terminal into Hoboken Station by providing a balanced proposal for the sustained, responsible growth of the region.